Rich in organic natural ingredients, SOAPWALLA Vegan Deodorant Cream protects you from humidity and smells with a long-lasting power ! This 100% natural skincare combines antibacterian lavender and tea tree essential oils, smoothing shea butter and absorbing clay. Soap Walla Natural Deodorant is not an anti-perspirant : it regulates sweat and smell while preserving the skin's natural process of toxin elimination. Its creamy texture is quickly absorbed and thus you can get dressed immediately after applying it. Also available in lime fragrance with Soapwalla's CITRUS Deodorant ! 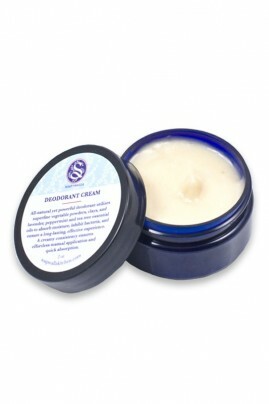 START A STINK-FREE DAY WITH SOAPWALLA NATURAL DEODORANT !